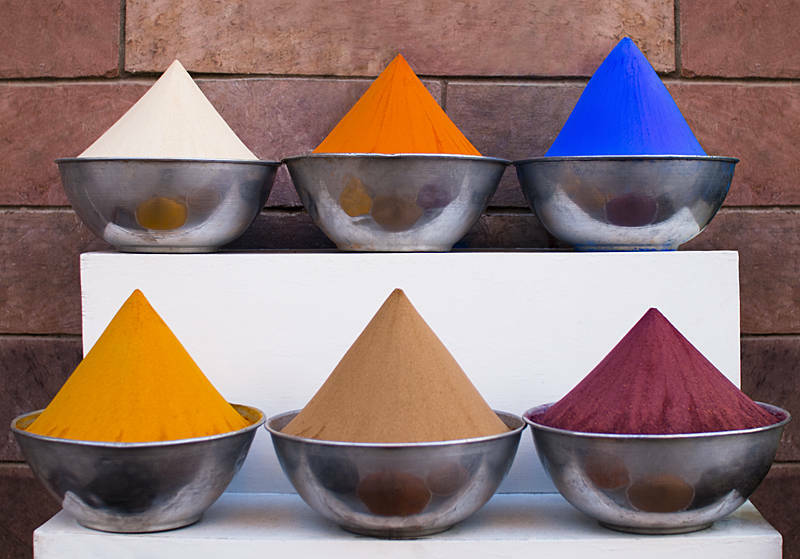 This is Indigo Dye and Powdered spices in Aswan Market, Egypt. If you recognise the powders please leave a comment so I can give more accurate keywords. In most cases stock agencies discourage too much photoshopping as it can easily degrade the image and can make it of less use to graphic designers who will apply there own adjustments. The exception is removing distracting elements as this makes the image of more use to designers. This image has the wall on the left copied to the right to cover the busy background. The bottom row looks like turmeric, cinnamon and paprika.